grant (Homepage) wrote: a beautiful fall shot! Arjan - PlasticDaisy (Homepage) wrote: This could be a painting! A really good painting! Subtle autumn colors, and rich in detail. A great place to visit! Laurie (Homepage) wrote: This is so pretty, almost like a painting. Not much color left around here. 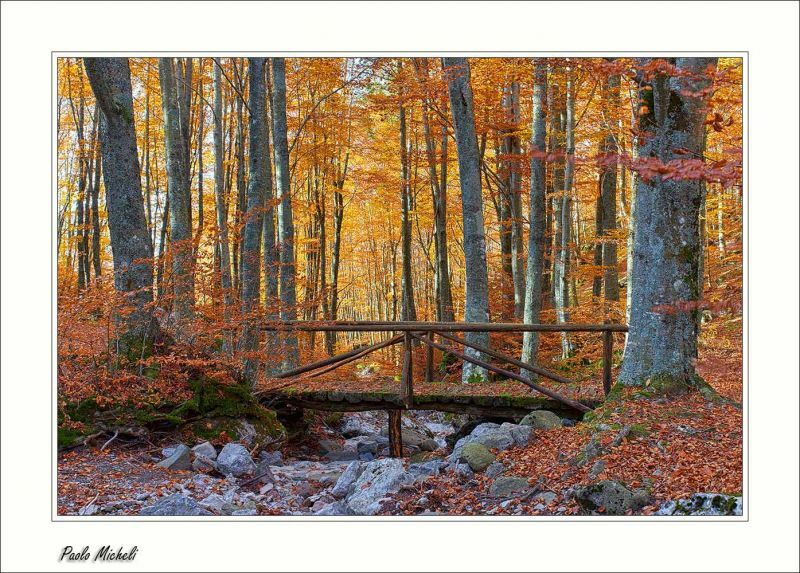 Andrés (Homepage) wrote: Paolo, these autumn colours are truly beautiful. Great photo! Frida (Homepage) wrote: Beautiful, beautiful fall colors. Well captured! pernilla (Homepage) wrote: Beautiful scene! Love the autumn colour tones and the light. Very nice capture. Arnd (Homepage) wrote: Another beautiful fall forest photograph. The footbridge is a real eye catcher here. Andy (Homepage) wrote: Wow stunning fall scene! The colors are spectacular!